Our executive location, right in the heart of Hanoi, it takes around 3 minutes to Hoan Kiem Lake. It is splendidly located on one of the renowned 36 ancient streets, within walking distance to all the main attractions as restaurants, bars, shopping & business centers, sight seeing venues & entertainment. 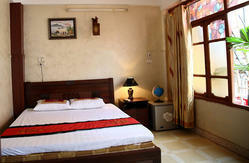 The hostel offers the best convenience to explore the beauty of boutique Hanoi . With 35 spacious luxurious guest rooms, fully renovated with an exquisite mix of antiques and up to date furniture and fixtures, the Hoan Kiem Grand Hotel provides the ultimate accommodation and comfort,and stunning city. It allows you to capture fantastic images and also have quiet rest at bed time. Stay at Hoan Kiem Grand Hotel, enjoy the most comfortable atmosphere and an ambience of elegance. We take you home away from home through the honesty, hospitality and ensure you that Hoan Kiem Grand Hotel is a truly great place to stay. 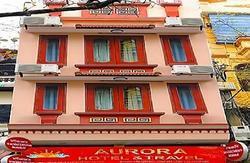 * From Noibai Int`l Airport, take an Airport Taxi (operated by Vietnam Airlines) to our hotel in Hanoi Old Quarter. Rate: VND300,000 (roughly USD16). Journey time: 40 minutes. * From Hanoi Railway Station or Bus Station, take Taxi named: CP taxi, Mailinh Taxi, Hanoi Taxi, Hanoitourist taxi . Bargain first then getting on, don`t take the other taxis to avoid any scams. Journey time 15 minutes. Rate: approximately VND40,000 (roughly USD2.50).